CHEMISTRY, 120 Unique Experiments. Learn about chromatography, acids, bases and salts. Indicators, reversible reactions, atoms, molecules and ions. Includes crystal growing, glass working and chemical magic. 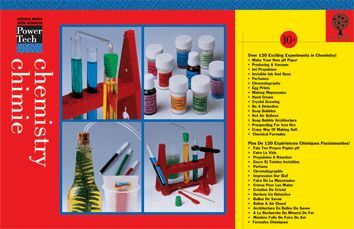 Note: This chemistry kit complies with EN71, Part4.